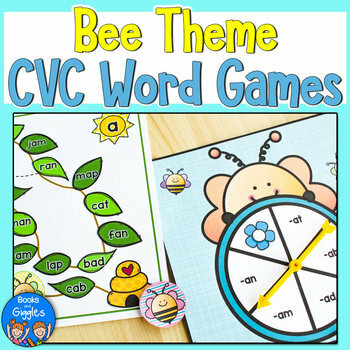 These CVC games are engaging yet simple - just right for your spring or bee themed literacy centers. There are 3 related games, along with recording sheets for accountability. 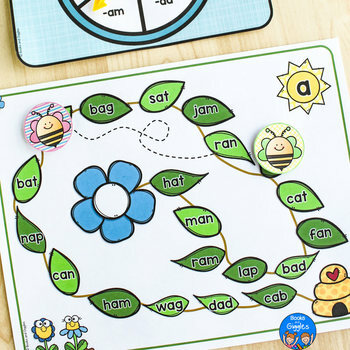 Your little learners will love to spin the spinners, dot the words, and “fly” from leaf to leaf with their little bees. ♥ This resource has 2 kinds of games: a board game, and a Search and Find game. Each comes in multiple variations as detailed below. ♥ Students spin a bee spinner to play either activity. They can also roll dice for a less difficult version of the board game. ♥ Laminate the color Search and Find pages and use with a dry erase marker. ♥ Dot the black & white Search and Find pages with a dot dabber marker. 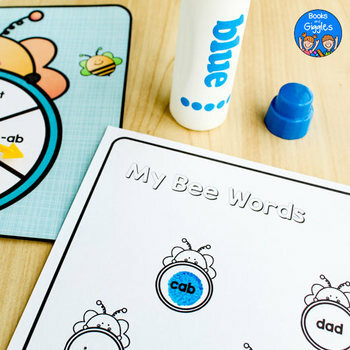 ♥ Easily differentiate by switching out the spinners - the easy version has whole words and the more challenging version has just the word endings. 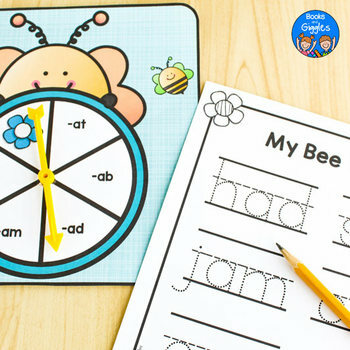 ♥ Recording sheets add accountability as well as provide handwriting practice. ♥ Each element of this resource comes in 5 versions - one for each medial vowel. ♥ This set is very similar to my Insect Theme CVC Games, so you can change things up without much more explaining. This resource includes lot of options - so you can choose what works for you. There is a hyperlinked table of contents so you can find everything easily. You can get credit for any future Teachers Pay Teachers purchase by leaving feedback on this product! I love that feedback!